Is it right to drop a fasting footballer? Portuguese football coach Jose Mourinho, ever the headline creator, has caused further outcry this week after he substituted Ghanaian midfielder Sulley Muntari from his Inter Milan side during a drab 1-1 draw a league game against Bari. Taking a tired player from the field of play was hardly breaking news, at least it wasn't until Mourinho revealed the move had been prompted because the player's perceived "low-energy levels" were as a result of fasting. 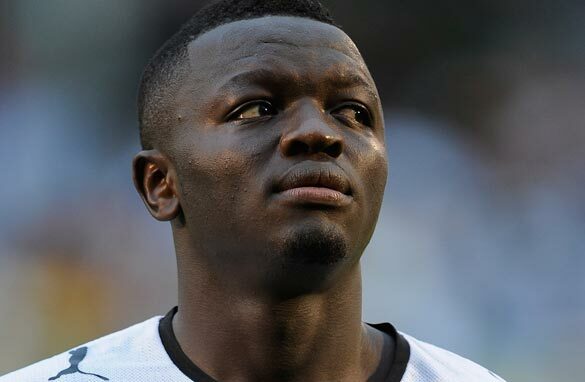 Muntari is a practising Muslim who, like many of the same faith around the world, is currently not eating during the hours of daylight to mark the Ramadan holy period. A discipline that clearly irked Mourinho who said in a post-match press conference: "Muntari had some problems related to Ramadan, perhaps with this heat it's not good for him to be doing this (fasting). Ramadan has not arrived at the ideal moment for a player to play a football match." Muslim leaders in Italy have criticized the opinions of the coach known as the "Special One", but Mourinho did not rule out the possibility of dropping the player for the Milan derby - between arch rivals Inter Milan and AC Milan - this weekend for the same reason. Elsewhere in Italy, fellow Muslim and Siena striker Abdelkader Ghezzal added to the debate by revealing he cannot fast and play at the same time. "I've always observed Ramadan but I have had to change my habits for health reasons from the first year that I became a professional. Before that I played at Crotone [while fasting] but after two weeks I felt ill and had to stop." So is Mourinho right to take account of how religious practices may affect his players' performance? Is it wrong to drop a fasting footballer whose energy levels may be lower than his teammates? Should Mourinho contemplate that a player of faith may perform better in a period of self-enforced discipline? And can sport and religion ever be separated in a satisfactory way? Let Muntari and Mourinho to sort out this. Mourinho is right to accept the best performance from his players so as Muntari to practice his faith. Islam always advises to keep a balance between faith and life. The Boss is right.Muntari can not fast & play at his full capacity at the same time. You cant serve two masters! Muntari and Mourinho must work at addressing this concerns.It should not affect their relationship. My advise to Muntari is to manage the fasting so that he can give of his best. I admire both the Coach and the player. Lets leave religion out because they can sort themselves out. The issue is not fasting but whether he can play or not. If he cannot perform as expected, for whatever reason, he has no place on the team until he can. Of course he's right to drop players who underperform which is the case if one refuses to eat or drink during the daylight hours. Your whole body becomes weaker and you lack energy...that this question is even asked is bizar. Any sporting coach or athlete can explain to you the significance of proper hydration and taking in enough carbohydrates if you want to have the best performance. Thats murinho's business. That's what he is being paid for. As a coach he knows which player is fit at a particular time. Muntari needs to be obedient else droped at the next crucial match. First of all let me say all my respect for the Ramadam's fasting, from the physical and spiritual point of view. However, if I'm not wrong, muslims are also allowed to delay the fasting if this could create problems of health. Now professional football players earning millions based on their physical health and abilities, can decide whether postponing the fasting to periods of the year were their physical health is less stressed (for example during their vacations) or following it strictly but bearing all consequences of underperforming physically during this period. Understand also that there are many professional football players that are doing so. The coach is very right......................Muntari is a professional making a lot of money to deliver a certain service.If for unrelated reasons he cannot perform as required by the coach,then he should be dropped. Am a muslim and i can feel Murinho,he is right on the performance of his player while fasting,but wrong on Whether he should fast or not,thats up to the player to decide. The inability of maurinho and others to be able to accomodate a Muslim players beliefs is upsetting, but not shocking. It is ok for players to go and get drunk and do damage to their bodies cumulatively but not for someone to fast? It is ok for someone to indulge in things like drugs and promiscuous lifestyles both of which have a considered impact on a players health in the long and short term but it is not ok to fast? Religion and sports are two different things. Religion is something for the rest of your life. While soccer is just a 'temporary' thing in your life. A fasting footballer can be motivated and can give something extra. Because the player is participating in a holy month and that will give him the strength to play 90 minutes. In Holland the Moroccan player all played last weekend full games, El Hamdaoui scored for AZ as did Afellay for PSV. Both were fasting while their games were in the early afternoon. Some players choose to eat on matchdays. The coach can't decide wheter a player should fast or not. A coach can't decide wheter to drop a player because of his religion. He can only drop a player from the squad because of tactical reasons. Mourinho needs to win games and not comment on other players religions. He is a great coach but not a imam or something! No i don't think mourinho should have dropped muntari just because of his fasting in Ramadan, Everyone has the right to practice their religion, whether he be a christian, Muslim or a Jew and i was quiet shocked because a coach with such caliber should never put down his own players, but instead encourage them and boost their morale so that they can perform their level best for the team. It is sensationalising a simple matter. How does any right thinking person expects a coach to field a dihydrated player? Players need physical strenght to play? A professional sportsman must be loyal to his contract. Strange that media publicises such issues with Muslims. Others have always been able to find a balance between life's obligations and religion. I think mourinho should respect every players religion because the purpose of man existence is to worship Allah subhanna watahala. How many matches are in a month that he t cant find a replacement for him. If mourinho is competent as coach he should leave than using a fasting player as an excuse for under perfomance. Yes he should replace him with another player because this is a holy month. He should please not temper with muntari's faith. Mourinho has the right to drop Muntari, but he has not right to make such harsh statements : "perhaps with this heat it’s not good for him to be doing this (fasting). Ramadan has not arrived at the ideal moment for a player to play a football match." Beside, there are many players in a team, so another player can offset one who's fasting. Muntari,kanoute,benzema and other Muslim players who fast during ramazan are not fasting and playing at the same time for the first time in their career. they are used to it.I don't understand why this season fasting has become an issue.It's a personal thing.Some players can fast and play other can't. Most of the matches in Europe are played quite late after fasting time is over so players can prepare for the match.If any match is schedule during fast then coach can ask a player to rest because there is reason for it but then again not for a player who has done it before. After fasting is over it will be unjust to bar any player from the game. Please don't mix religious obligations with sports. Mourinho has no right to drop his fasting,i am just 19 and playing for nossegem in belgium but i do fast and go for traing and play in games? Muorinho is right, but should learn how to keep some certain issues between him and his players. Muntari should be careful in taking decisions so as not to mar his career or offend and disobey his Creator. Let him try and balance the two issues. In no doubt,the special one (jose m.) was right he manages the player, he must have studied his mental ability cos spirit,body and soul has to be propotionaly healthy to be able perfom in anything.besides the game is entertainment and buisness so jose is a result oriented person pple shuld nt see it in a wrong perxpective. You want the best out of your players, performance and you want a winning record. This is football not religion, and religion has no place interfering with in football! As in government separation between state and religion, same for football. The Italian imam who spoke again Mourinho's decision should be quiet and not try to catch some limelight in this matter, so that his name is splashed on TV and newspapers. Inter has a season to worry about and a Champion league campaign, comments from factors or people outside from football world and Italian league should be ignored and go on with their season. Of course the coach is right to drop the player. The player was hired to perform,and if he willingly makes himself physically weaker,even due to a religious practice,then the coach cannot risk jeopardising everyone elses success. The player jeopardises his teammates' sucess with this practice,and should ask himself what he wants. He should not be criticized for his actions but he should be aware that he puts himself at a big disadvantage. The Coach is right. Fasting reduces performance levels, and it is neither pro or con as to his reasons for fasting. give them a short break..